What are the key principles in managing HIV infection? 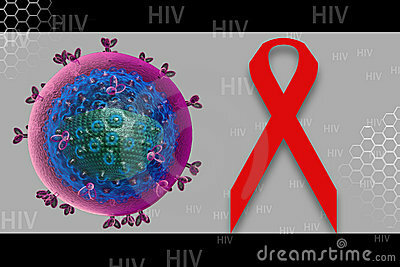 First of all, there is no evidence that people infected with HIV can be cured by the currently available therapies. In fact, individuals who are treated for years and are repeatedly found to have no virus in their blood experience a prompt rebound in the number of viral particles when therapy is discontinued. The decision to start therapy must balance the risk versus the benefits of treatment. The risks of therapy include the short- and long-term side effects of the drugs, as well as the possibility that the virus will become resistant to the therapy which can limit options for future treatment. A major reason that resistance develops is the patient’s failure to correctly follow the prescribed treatment, for example, if the patient is not taking the medications at the correct time. If virus remains detectable on any given regimen, resistance eventually will develop. With certain drugs, resistance may develop in a matter of weeks, such as with lamivudine (Epivir, 3TC), emtricitabine (Emtriva, FTC), the drugs in the class of nonnucleoside analogue reverse transcriptase inhibitors (NNRTI) such as nevirapine (Viramune, NVP), delavirdine (Rescriptor, DLV), and efavirenz (Sustiva, EFV), and the integrase inhibitor raltegravir (Isentress, RAL). Thus, if these drugs are used as part of a combination of drugs that does not suppress the viral load to undetectable levels, resistance will develop rapidly and the treatment will lose its effectiveness. In contrast, HIV becomes resistant to certain other drugs, such as zidovudine (Retrovir, AZT), stavudine (Zerit, D4T), and protease inhibitors (PIs), over months. In fact, for some Protease Inhibitors whose effects are enhanced by giving them in combination with the ritonavir (Norvir, RTV) to delay their clearance by the body, resistance appears to be markedly delayed. These drugs are discussed in more detail in subsequent sections, but it is important to note that when resistance develops to one drug, it often results in resistance to other related drugs of the same class, it is called cross-resistance. Nevertheless, HIV-infected individuals must realize that antiviral therapy can be and typically is very effective as long as drug resistance has not developed even in patients with very low CD4 count and high viral load. One of the biggest questions related to the management of HIV disease is, when is the best time to start antiviral treatment. Clearly, therapy is appropriate for those with low CD4 cells (for example, <200 and even between 200 and 350 cells/mm3) as well as in those with even mild symptoms of disease such as oral thrush, chronic unexplained diarrhea, fever, weight loss, opportunistic infections, or dementia (for example, forgetfulness). For asymptomatic patients with CD4 cells greater than 350 cells/mm3 there is more uncertainty as to whether therapy should be routinely recommended. Specific considerations related to this issue are discussed below. Prior to initiating antiviral therapy, it should be strictly should be done to ensured that the patient is committed to the treatment, able to adhere to the regimen, and will be on regular follow up with his or her health-care provider to assess whether medications are tolerated and working. When antiviral therapy should be started? Guidelines for starting antiviral therapy have been proposed by panels of experts from several groups, including the DHHS and IAS-USA. For several years, these guidelines have recommended treating all patients who have symptoms of HIV infection as well as those who have CD4 cell counts of less than 350 cells /mm3. A recent study showed that those who started treatment with CD4 cells greater than 500 cells per mm3 actually were less likely to die than those who did not start treatment until their CD4 cells declined to less than 500 cells /mm3. In addition, there is increasing evidence that ongoing viral replication, even in the setting of high CD4 cells is associated with damage to the brain, kidneys, heart, and even liver. Along with these studies arguing for earlier treatment, there is growing evidence that currently used treatments are usually very well tolerated and effective in decreasing viral load. Guidelines will continue to change with time, but for now, the emphasis should be on doctors discussing with patients all of the potential risks and benefits of therapy and deciding when its best for each individual to start the antiviral therapy. Regardless, all agree that HIV is generally a slowly progressive disease, and therapy rarely needs to be started abruptly. Therefore, there usually is time for each patient to carefully consider options prior to starting treatment. Before starting treatment, patients must be aware of the short- and long-term side effects of the drugs, including the fact that some long-term complications may not be known. Patients also need to realize that therapy is a long-term commitment and requires consistent adherence to the drugs. In addition, clinicians and patients should recognize that depression, feelings of isolation, substance abuse, and side effects of the antiviral drugs can all be associated with the failure to follow the treatment program. This entry was posted in hiv aids and tagged aids, aids treatment, hiv, hiv aids, hiv aids articles, hiv and aids facts, hiv and dids, hiv cure, hiv cure 2012, hiv cure found, hiv treatment, hiv treatment as prevention, hiv treatment guidelines, how to manage hiv, how to treat aids, how to treat hiv, how to treat hiv infection, is there any treatment for hiv on May 18, 2012 by Dr.Sobia Adnan.